nurturing your child's unique amazing spirit and teaching them skills for life! 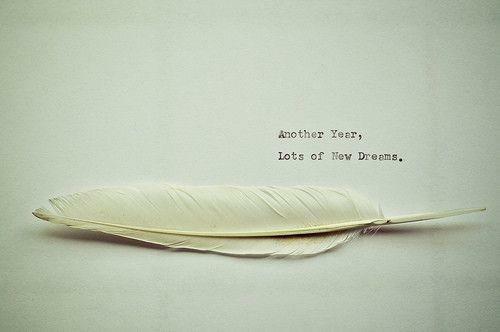 The New Year brings new beginnings! It’s an exciting blank page in the next enthralling chapter of your child’s life. A book in which you have the wonderful opportunity of enhancing with so many fresh and different lessons and experiences. So what will you do in 2016 to help make it a fulfilling and potential reaching one for child? How will you help them become the best version of themselves that they can become at this time in their lives? These are questions you can ask yourself and focus on as you move into and throughout 2016. A great place to begin is with teaching your child about goal setting and planning, so here are a few ideas on how you could do this. Firstly, they are learning about organisation. They can mark important events such as sports day, library day, piano lessons, etc into their diary/calendar so that the night before each event they can prepare everything they will need the next day. This not only gives them some independence but helps to develop their confidence and autonomy. It also teaches them the lifelong skill of planning and being organised, which they will need in all aspects of their lives. Secondly, they are learning the names and order of the days and months of the year. This is a huge lesson in itself and makes the experience so visual and real that it is far easier to understand than being taught verbally in an intangible lesson. Thirdly, they are learning about the order of events. The calendar/diary gives them a visual cue in which they can look and see what is coming up and when. This not only helps them with putting events in order but also develops their understanding of timing and time. It is the prequel to learning about time in accordance to hours and minutes. Fourthly, but no less importantly is the development of security and peace of mind that the knowledge of timing and order of events brings. If children know what is coming up and when, they feel far more secure and confident than if they have no idea what is going to happen on the day or days ahead. It is for all these reasons and many more incidental or consequential teachings that it is a great idea to introduce and encourage your child to use a diary/calendar in 2015. Goal setting is really important for all of us but we tend not to realise how essential it is for children too. Goal setting gives us purpose, direction and something to aim for – and tantamount to that it gives us hope. Ask the children in your life what it is they would like to do in the coming year. Is there something they would like to learn or develop their skills at? Is there a place they would like to visit or something they would they like to save for? Well help them do it! Start from the goal and turn it upside down so that you are taking baby steps backwards. Get them to use their planner to map out how and when each step will take place. Again this gives them visual cues with the added bonus of seeing when each step will take place, as well as the time frame for reaching their destination/goal. For example, if your child wants to learn how to ride his/her bike without trainer wheels. Help them workout which days they are free to practice and then get them to write or draw a picture representing the event e.g. a bike on each of the days. On the first day you could write practice peddling forwards, then the next few could be practice steering, learning to use the brakes, and so on until these skills are mastered. When the trainer wheels are ready to come off there will be lots more skills to learn in order to balance and these can be broken down into steps accordingly. Remember, half the fun of being a child is living spontaneously so I definitely do not suggest planning every minute of their lives, just a few essential moments of their week – make it light hearted and fun! Keep working on planning and goal setting with the special children in your life throughout the year to help them develop skills that will last them a lifetime and will benefit them more than you could possibly imagine! 10 Fun Rainy Day Activities! Getting Back into the School Routine in 2016!